Do you have discriminating taste? 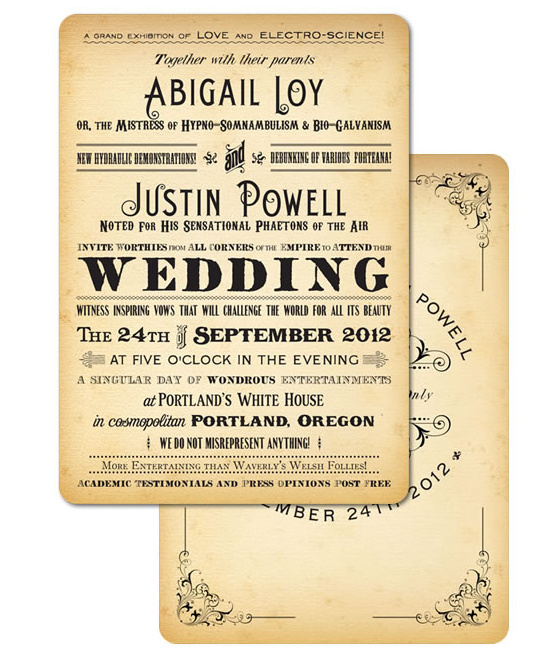 Looking for the perfect vintage wedding invite with a bit of magical flair? 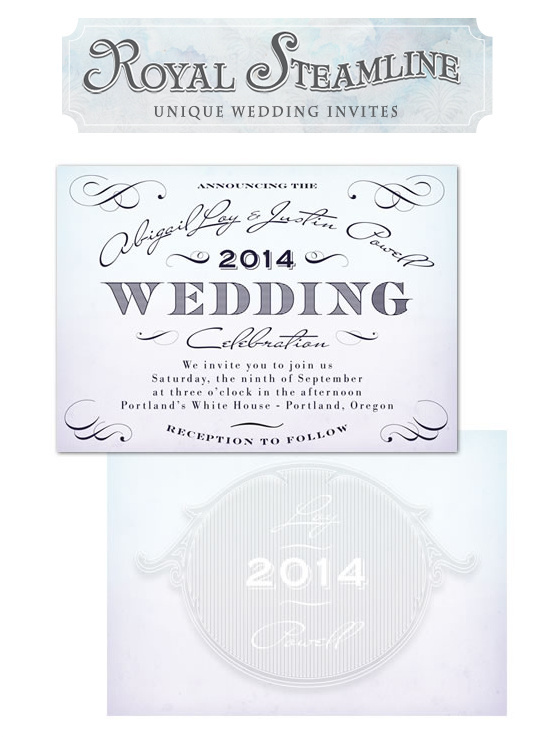 Look no further, Royal Steamline has an array of unique over the-top-wedding invites. Not only will you love them - but we guarantee your man will agree to the coolness. This is just a taste of what Royal Steamline has to offer, be sure to check out the Hand-Picked vendor page to learn about their distinctive style. We know you love a vintage postcard. 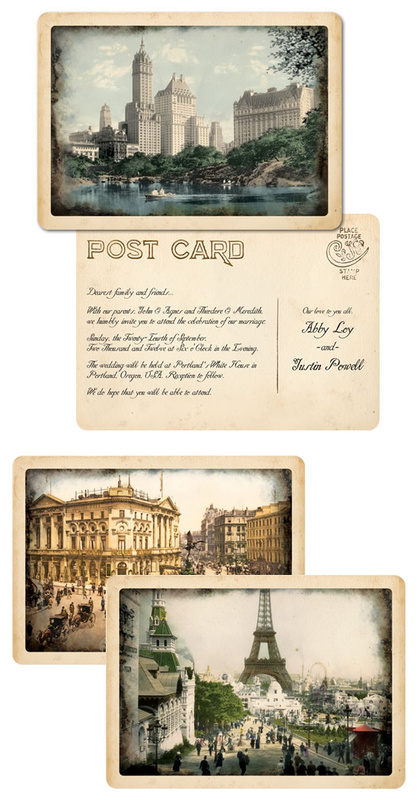 Royal Steamline's While Port of Call is offered in two font styles (Handwritten and Typewritten) and eight different postcard designs, the following are available as samples: Paris 1901 (in the Handwritten style), Sunday in NYC (in the Typewritten style), or Piccadilly Circus (in the Handwritten style). All perfect to announce your upcoming wedding! Royal Steamline is one of our exclusive Hand-Picked Vendors. Hand-Picked Vendors are at the top of their game and provide excellent services! These vendors are chosen because of their commitment to excellence, stylish and fresh ideas, and their overall fresh approach to weddings. To learn more about how our Hand-Picked Vendors are chosen please click here. To see more work from Royal Steamline be sure to click here. They are truly purveyors of curious invitations.